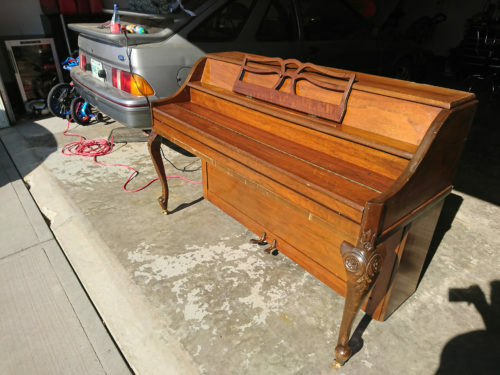 Heather Grimsrud found an old piano on an online buy and sell group. 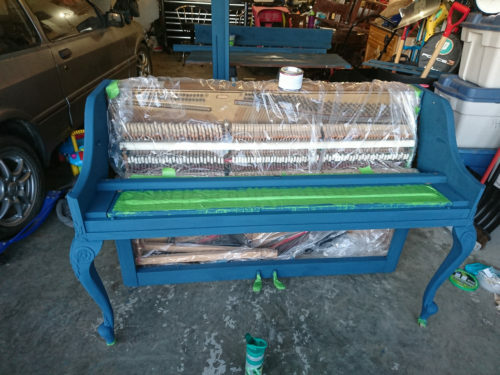 She shared her experience and pictures with us about chalk painting a piano before and after. 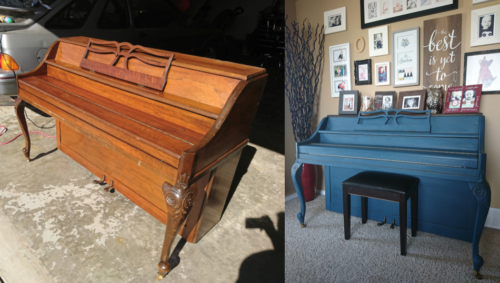 Using the paint she purchased from American Paint Company retailer Dawn Interiors, she was able to turn the old, outdated piano into a modern piece that looks great in her home. 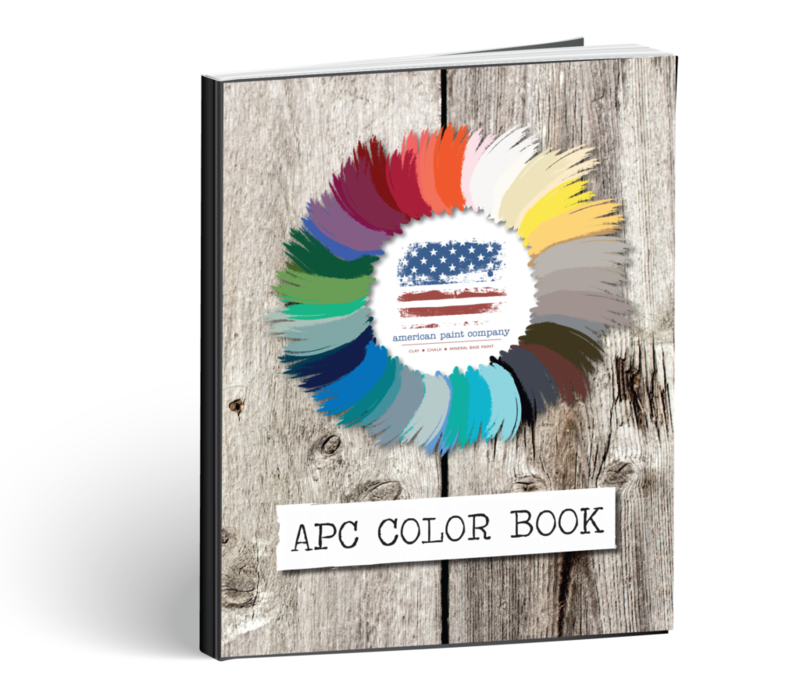 Why use Clay, Chalk and Mineral Paint? Latex based paint can require sanding, priming and extensive prep time. But using a thicker clay based paint with chalk and natural minerals, you’ll discover it goes on quickly, covers great, and dries fast! Although you can use multiple colors on any project, Heather decided to use just one color and go for the modern finish. 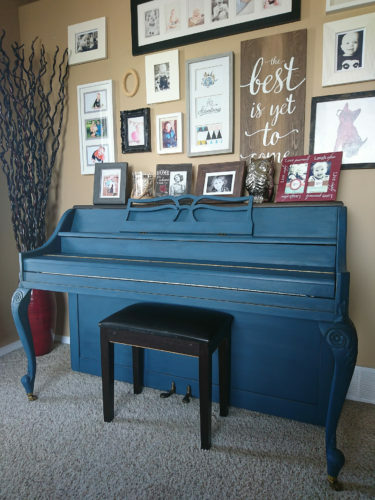 She chose a popular navy blue color from American Paint Company called Born on the 4th of July. 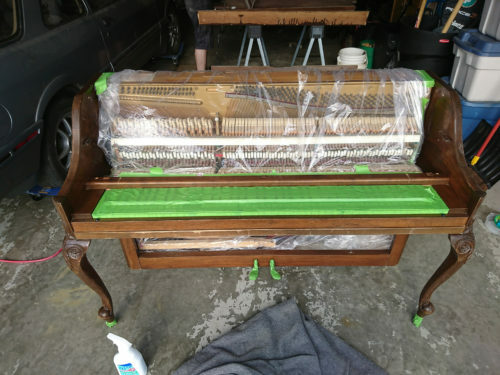 She sealed the piano with a mix of both Clear and Dark Vintage Antiquing Wax. 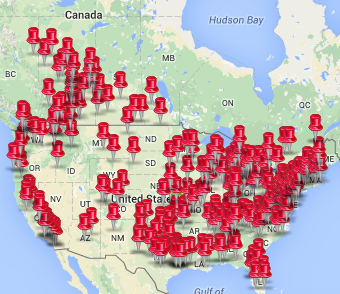 You can learn more about sealer options and how to apply them here. Now it’s easier than ever to update your old, outdated furniture into something that will fit the style and decor in your home. 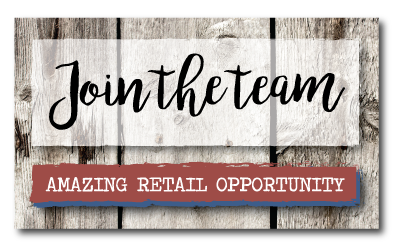 Click on a project category below to check out Before & After pictures, project tutorials, and more! Love Born on the 4th on this piano! Looks great!